Georgia Strait Alliance hasn't added a story. I am in love with the Salish Sea! This swim is all about putting that love into action to create lasting change, real change, so that one day when future generations are showing their grandchildren a pod of orcas breaching they can think of me and all the people who came together at a critical time in history and saved our oceans from calamity. The ocean is my habitat, and as a regular occupant and devoted admirer, I feel I have no other choice but to do everything in my power to protect our beloved Salish Sea. So I will be swimming the Salish Sea, being out in the water enjoying the very thing I hope to protect. The Salish Sea is already in peril, faced with increased impacts from fossil fuel infrastructure expansion like the Trans Mountain pipeline and tanker project, and impacts on wild salmon populations from open net-cage salmon farming among other threats. The remaining 75 resident orcas are in imminent threat of extinction, with unmitigated risks from lack of food (Chinook salmon), noise pollution, and toxic contamination. That loss would be inconceivable and impossible to recover from. We must all do our part to prevent this. In August 2017, I swam roughly 100km around Salt Spring Island and raised over $14,000 in support of Pull Together’s legal challenge of the pipeline project. This year I’m doing it again, to raise money for Georgia Strait Alliance’s campaign to save the Salish Sea Orcas! I am looking for sponsors to back me per kilometre to raise my goal of $20,000 for GSA’s emergency measures to save the remaining 75 resident orcas. Together, we can help push Georgia Strait Alliance to reach their goal of $200,000 and bring the Orca population back from the brink of extinction! What a win that would be for the Salish Sea and all who love this coast. Can you help me with any of that? I'll be keeping you posted as things progress! 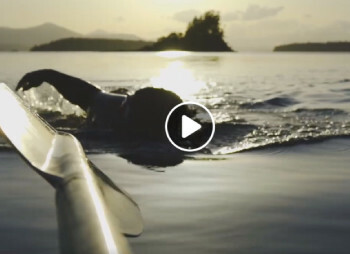 Thanks so much for your care and support to protect the Salish Sea. GSA has been working on killer whale issues since its inception in 1990. They fought for the release of the Recovery Strategy for the Southern Resident Killer Whale (SRKW) under the Species at Risk Act - something the government failed to create by their mandated deadlines. They also fought for the designation and protection of Southern Resident killer whale critical habitat - something that saw them in court several times, winning each court case. Recently, GSA has been actively working on stopping the Trans Mountain pipeline expansion and associated tanker traffic as this project poses a detrimental threat to the survival of the Southern Residents. They are also heavily involved in a campaign to ban open-net Atlantic salmon fish farms from BC waters and moving them to closed containment facilities on land to protect wild salmon stocks and thus killer whales as their primary food source - Chinook salmon is heavily impacted by the spread of diseases and parasites from the fish farms. GSA is also leading a coalition of environmental organizations which issued a petition asking Minister LeBlanc of Fisheries and Oceans Canada and Minister McKenna of Environment and Climate Change Canada to recommend that Cabinet issue an Emergency Order under the Species at Risk Act to protect the SRKW. An emergency order is a tool that gives government the power to implement immediate actions without all the red tape required to put protections in through acts and regulations. On May 24, the government responded, announcing that endangered Southern Resident Killer Whales face “imminent threats” to their survival and recovery. Prompted by this assessment, the Ministers also announced immediate fisheries closures in key Southern Resident foraging area. This admission that the whales are in imminent danger, along with the fisheries closures are steps in the right direction. GSA and their coalition allies will continue to urge the government to take immediate and effective actions this summer to protect SRKW before the situation gets any worse. Specific actions related to the threats of noise disturbance from commercial and recreational vessels and from toxic contamination are among their demands. In addition to advocating to government for the protection of the SRKW, GSA also delivers extensive outreach and educational programs in local communities. Activities include school and youth organization based programs, tabling at community events, online education and opportunities for individuals to take action, and special events in the Victoria and Southern Gulf Island region. For more information visit GeorgiaStrait.org/work/species-at-risk/orca-protection/ or GeorgiaStrait.org/events and GSA’s social media platforms. Georgia Strait Alliance hasn't posted any updates yet. 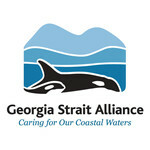 Georgia Strait Alliance is managing the funds for this campaign.